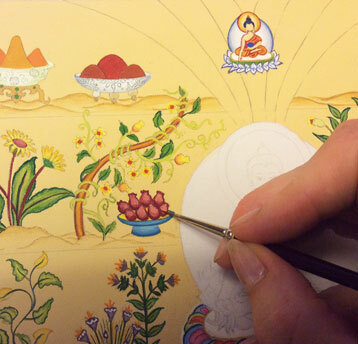 A selection of the thangka paintings created by Carmen and a ‘sneak preview’ of the paintings she’s currently working on. 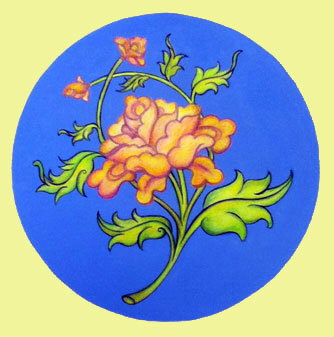 Click on each image to see the name and click again to read more about the artwork and see the making of in pictures. 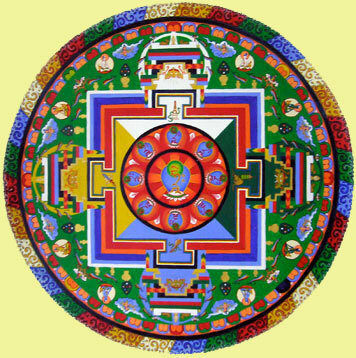 Carmen can paint you a thangka on commission. 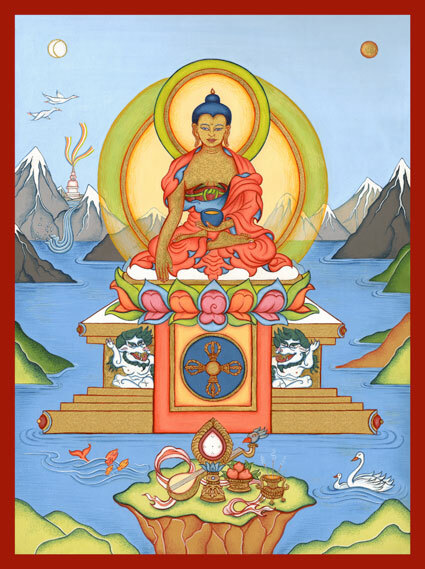 Any size is welcome and will be painted in consultation with you (including special dedications & blessings on the back) making it a very personal thangka. 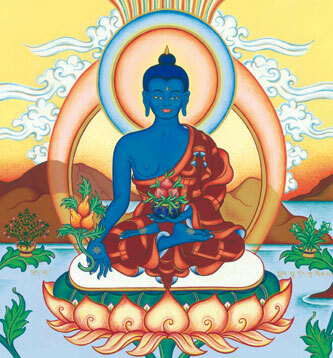 Traditionally, by commissioning a thangka, you will ‘bring the Buddha alive‘ which, according to Tibetan-Buddhism, brings on very positive karma and stabilizes your connection with the Buddha and the path to enlightenment, in this life and in future lives. 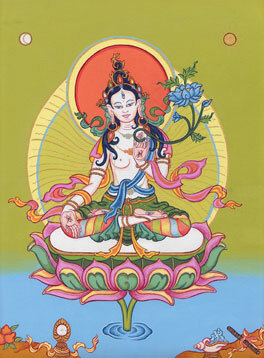 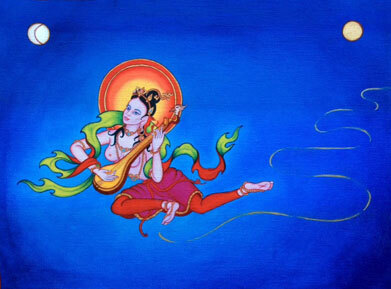 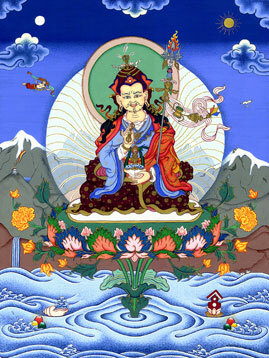 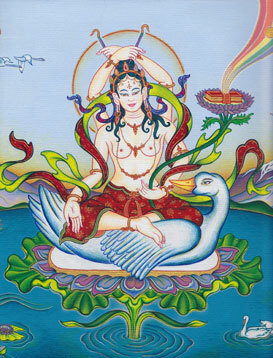 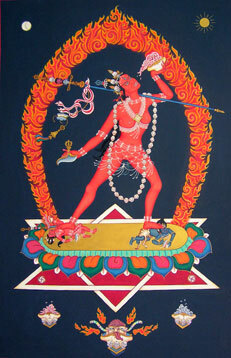 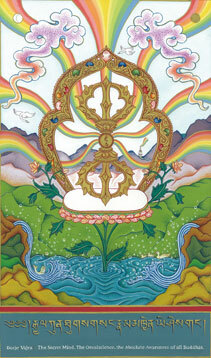 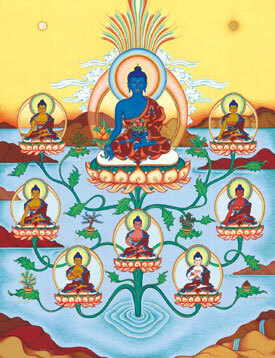 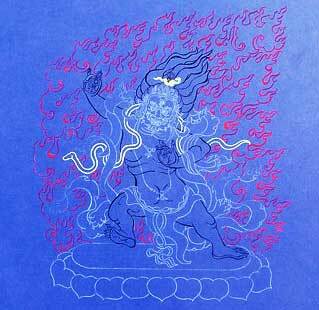 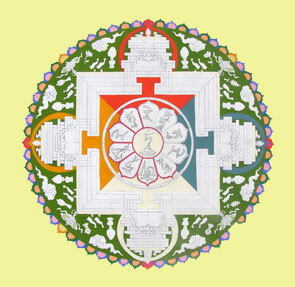 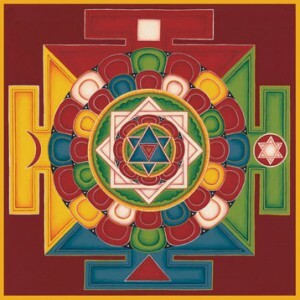 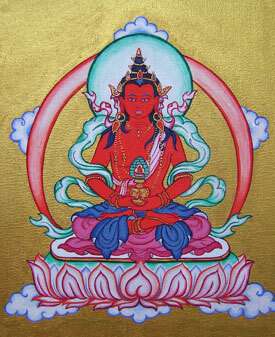 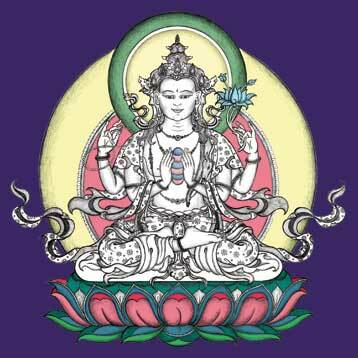 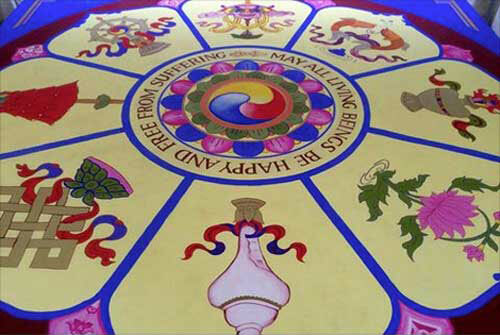 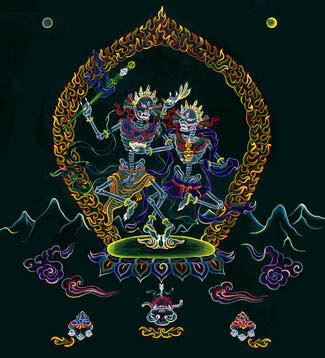 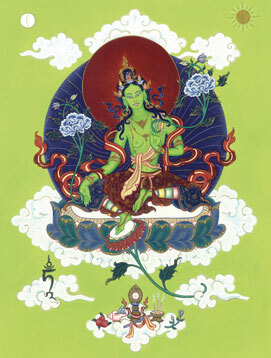 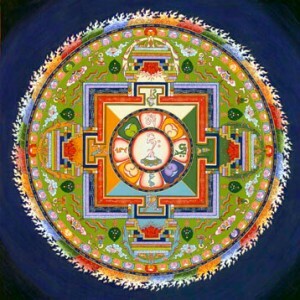 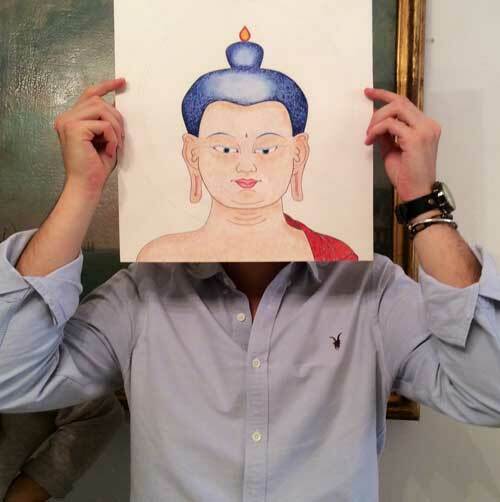 Click here for more information on buying one of these thangkas or commissioning one.